버즈빌은 ”모바일 첫 화면 최적화를 통해 광고주들과 매체들을 더 많은 사용자들과 연결되도록 한다”라는 미션 하에 2012년 설립된 모바일 잠금화면 미디어 플랫폼입니다. 2018년 현재 한국, 대만, 일본, 미국을 비롯한 전 세계 30여개 국으로의 사업을 확장한 버즈빌은, 모바일상 가장 자연스럽고 효과적인 광고 플랫폼 - 잠금화면을 통해 수 백만 유저들을 연결하고 있으며, 전 세계 최대 잠금화면 미디어 플랫폼의 위치를 공고히 하고 있습니다. 버즈빌은 2013년과 2015년 두 차례에 걸쳐 소프트뱅크 벤쳐스 코리아, LB 인베스트먼트를 포함한 유수의 투자사들을 통해 총 160억원의 투자를 받았으며, 매출은 매년 2배 이상 성장, 이익은 2014년 이후 지속적으로 이익 규모를 키워오고 있습니다. 현재 85여명의 직원들과 함께 서울과 도쿄, 뉴욕 그리고 타이페이에서 전세계 스마트폰 사용자의 80% 이상의 잠금화면을 장악하겠다는 꿈을 꾸며 매년 2배 이상씩 지속적으로 성장하고 있습니다. 지난 2017년 버즈빌은 국내에서만 300억원의 매출을 기록한 바 있습니다. 또한, 버즈빌은 잠금화면 SDK 기술인 ‘버즈스크린’을 운영하며, 이를 탑재한 자체 B2C 앱 ‘허니스크린’과 ‘슬라이드조이’를 보유, 전세계적으로 1,700만 사용자와 함께하고 있습니다. ‘버즈스크린’은 SK Planet의 OK Cashbag과 11번가, KT Clip과 Whowho, Lotte 엘포인트, CJ One 등 국내 외 50개의 다양한 파트너사와 제휴를 이어가고 있습니다. 전세계 20개국에서 특허받은 SDK으로 버즈빌은 파트너사만의 잠금화면 앱을 제공하여 사용자에게 더 큰 만족도를 제공하고, 파트너사에게는 고객의 충성도 재고 및 수익을 가져다 주고 있습니다. 잠금화면을 통한 모바일 사용자 경험의 무료화를 위해 오늘도 버즈빌은 열심히 앞으로 나아가고 있습니다. 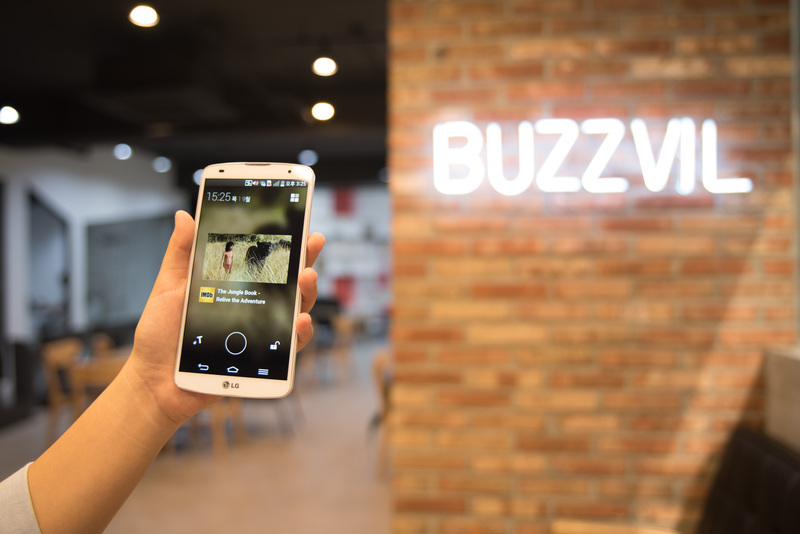 As of 2018, Buzzvil has expanded its business to more than 30 countries around the world including Korea, Taiwan, Japan and US to develop a more natural and effective advertising platform on mobile. Buzzvil raised a total of $16M funding from series A and B by Softbank Ventures Korea, LB investment, KTB Network, POSCO capital, ES investor and Company K Partners. We are a team of 85 people with our HQ in Seoul, and we have offices in Tokyo, New York, and Taipei for global business. We are building a team of people committed to changing the world by dreaming the impossible with continuous double growth in revenue. Our flagship mobile application, HoneyScreen and Slidejoy have reached globally over 17 million users. The world's first and best Lockscreen SDK, BuzzScreen serves dozens of partners from diverse countries and industries such as OK Cashbag and 11st by SK Planet, Clip and Whowho by KT, L-point by Lotte, CJ One, and Axiata; one of Asia’s largest telecommunication companies. With a simple integration of SDK, it allows partners' application to better engage with their users by enabling lockscreen advertising feature. Through the services, Buzzvil pursues to make users' mobile experiences more affordable by optimizing the first screen of mobile.